Extreme overclocker der8auer has already started overclocking the newest AMD Ryzen 7 1800X CPU and managed to achieve a massive 5.8 GHz overclock using liquid nitrogen. 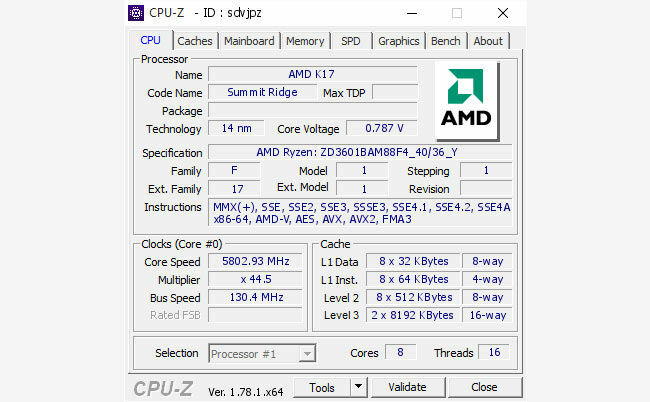 Der8auer used the Ryzen 7 1800X on an ASUS Crosshair VI Hero motherboard and set the CPU bus speed to 130.4 MHz with a multiplier of 44.5 to get an overclocked CPU frequency of 5802.93 MHz. der8auer did not disable any of the cores, a practice that many overclockers follow to get a higher clock speed. Core voltage was set to 1.97 volts and the RAM used appears to have been part of the seeding kit AMD gave to all reviewers. It was set to 1217.1 MHz and the timings are also quite aggressive – 11-11-11-28-44-1 (tCAS-tRC-tRP-tRAS-tCS-tCR). AMD Ryzen motherboards have only hit the market yesterday so it’ll take some time for each motherboard manufacturer to work out all the kinks in the BIOS and optimize the platform for getting higher overclocks. We should see a lot more action in the coming weeks. 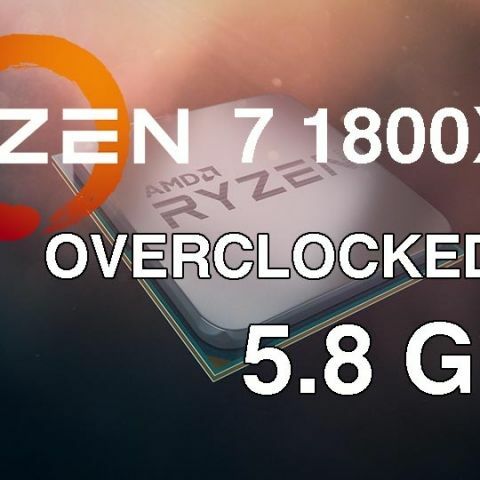 The AMD Ryzen 7 1800X is part of the enthusiast lineup from AMD based on the Zen architecture, the other two being the 1700X and the 1700. You can read up our review of the Ryzen 7 1800X along with all details including the price, benchmarks, AM4 motherboard details, specs and comparison vs Kaby Lake.